You might remember that throughout most of my pregnancy I worried something would happen to my baby. I worried I would miscarry and then once we got past 24 weeks I worried each time I didn't feel him move for a while. So the sense of relief when they finally placed a damp, warm creature on my chest I cannot describe. 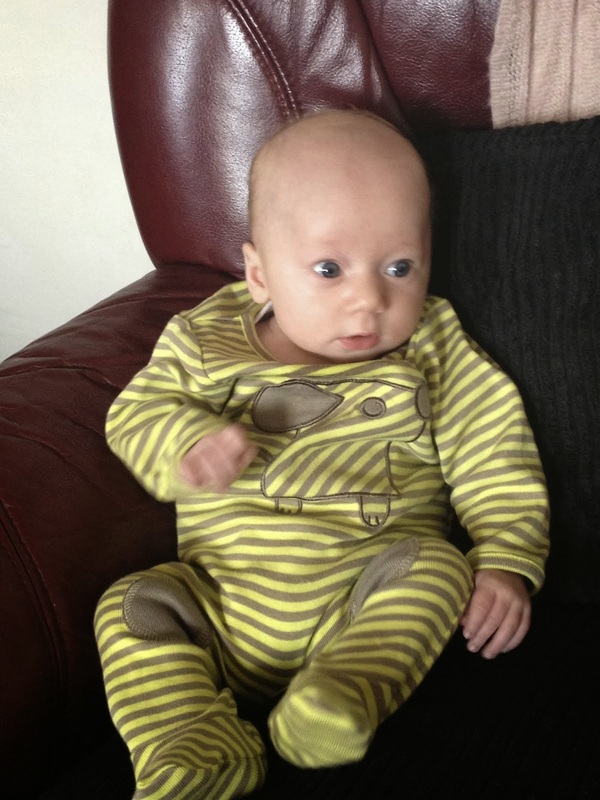 Tonight I thank my lucky stars that Charlie was born safely and I have my gorgeous, wonderful nine week old. But I will never, ever take it for granted. On Sunday my lovely friend who I first met at nursery, before going onto the same primary and secondary school with and then the same college, had her long awaited baby girl. She and her partner had been trying for 15 months to conceive their baby. During delivery the baby's shoulder got stuck and she was deprived of oxygen for far too long. When they did get her out she needed to be resuscitated and they then put her in an incubator. Unfortunately she didn't respond well after being starved of oxygen for so long and on Tuesday night heaven decided to claim another angel. Another angel taken far too soon. I cannot even begin to comprehend how losing your child, whatever age, must feel like. How do you even begin to carry on after that? It really makes me wonder about god and religion. If there is a god, why would he give someone the wonderful gift of a child and then take it straight away? What is the point? My Grandma always used to say that heaven always chooses the best ones first, but that's no comfort to the ones left behind. I am utterly devastated for my lovely friend and her family. It would have been their first grandchild. It still is, but it will always be tinged with complete sadness and devastation. The past two nights I've cuddled my boy so tight and not been bothered when he cries. I've checked on him every few minutes when he's been sleeping and told him how much I love him. I feel blessed that I have my healthy boy but I will never take him for granted. Nothing is forever.